Suggested skills for this easy level pattern include knit, purl, knit through the back loop, knit in the rnd, increase, decrease, and short rows. The tech edited and test knit pattern includes written directions, a yarn color changing guide, and a schematic. Note: if substituting a variety of solid colored yarns, the pattern creates a striping effect of differing, but flattering widths. 18 sts and 28 rows over 4”/ 10cm Stockinette stitch in the round using US 7/ 4.5mm. 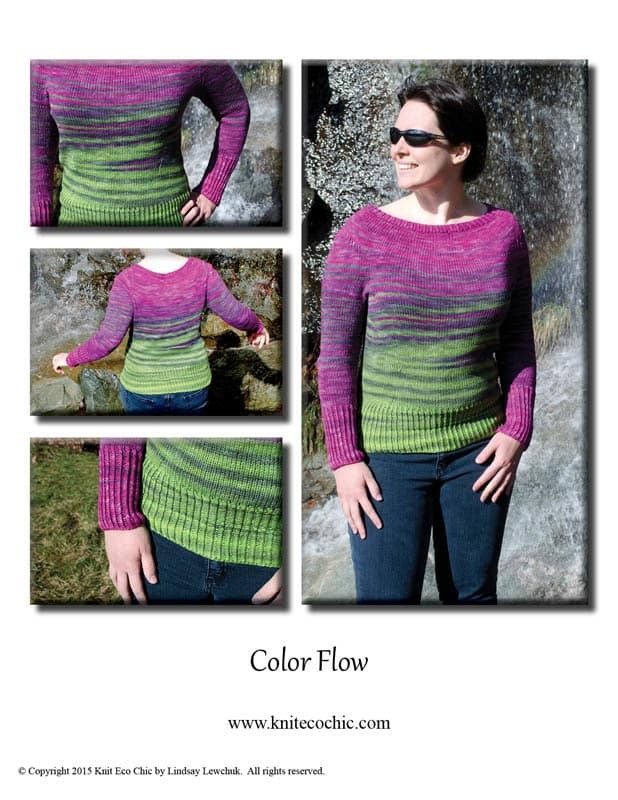 Color Flow sweater is an entirely seamless top down yoke style sweater with set in sleeves. 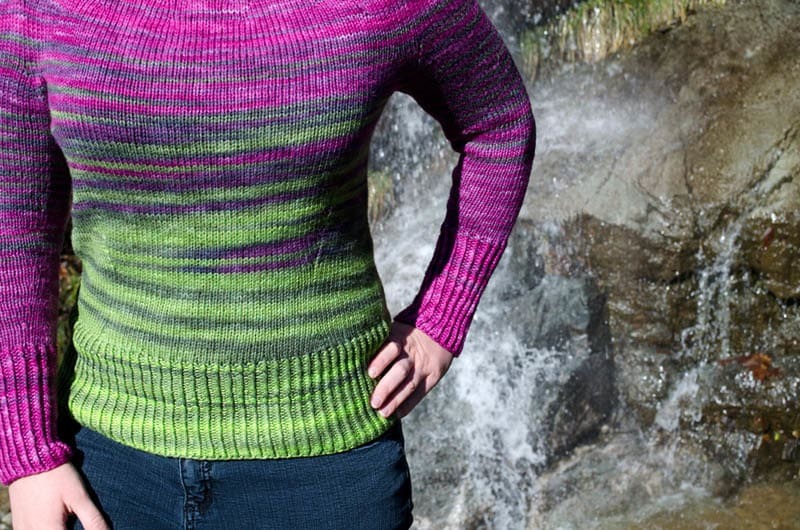 The design is a simple knit with twisted stitch accent ribbing specifically to highlight the beautiful gradient sets of The Unique Sheep. Be sure to swatch in the round, wash, and block dry to verify gauge. 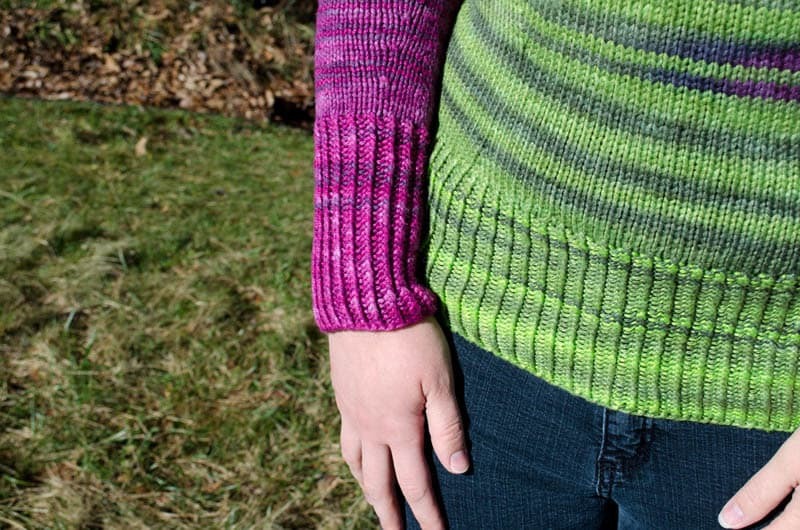 Check out the Skein Changes Quick Reference Guide for when to switch skeins. It is important to use the cable cast on method in section “Split Sleeves from Yoke” for stability under the arms as well as for ease in picking up sts from the cast on sts later.